For thirty years, Brendan Murphy has done the impossible. He has kept his client, Professor Edward Wynne Carter, III, alive on Virginia’s Death Row. Brendan knows Ed did not kill his pregnant wife in the fall of 1983. But now Ed’s execution date has been set. Thirty years ago, when she was just out of law school, McKenzie Fitzgerald, interviewed Ed’s alibi witness. But she forgot to turn on the tape recorder. The next day, the witness vanished. McKenzie convinced herself that Ed was guilty and lied to cover up her mistake. Now a nationally renowned civil litigator and former Harvard law professor, McKenzie is a nominee to be a justice on the United States Supreme Court. But when she learns that Ed’s execution date has been set, McKenzie must choose between saving Ed’s life and saving her career. Will Brendan uncover McKenzie’s secret in time to stop Ed’s execution? 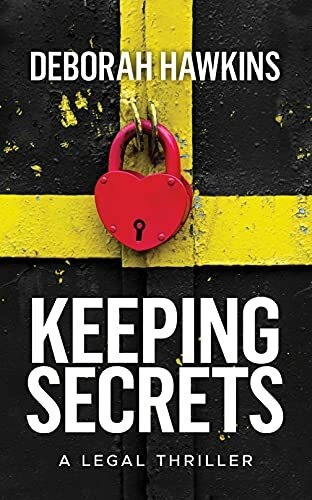 Click here or type in http://geni.us/keepingsecrets into your web browser to pick up your copy of Keeping Secrets in the Amazon Kindle store. Deborah grew up in the South, wrote her first novel at the of age thirteen, and has been writing ever since. In graduate school, she studied Irish Literature and came to believe all Irishmen and Southerners are born storytellers. In addition to writing, she loves music and plays the clarinet. 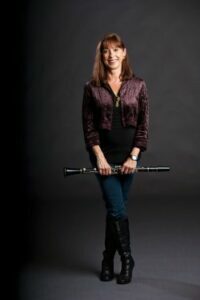 Now that her children are grown, she devotes her time to law, music, writing, and her two Golden Retrievers, Melody and Rhythm. Deborah taught college English and worked as a technical editor before going to law school. She worked for several large East Cost firms before coming to California in the mid-1980’s where she developed a solo practice as an appellate attorney while raising her three children as a single parent. She is admitted to the bar in two states and the District of Columbia, is a certified appellate specialist, and has a Master of Laws in addition to a Masters in English. She believes that even a legal case always begins with a story. You can visit Deborah’s Amazon author page if you click here or type in http://geni.us/deborah into your web browser.